CHICAGO (WLS) -- Dennis Hastert wants his hush money back, according to court documents obtained by the ABC7 I-Team. The former House Speaker is asking to be reimbursed the $1.7 million he paid to a man who claims Hastert sexually abused him as a teen. 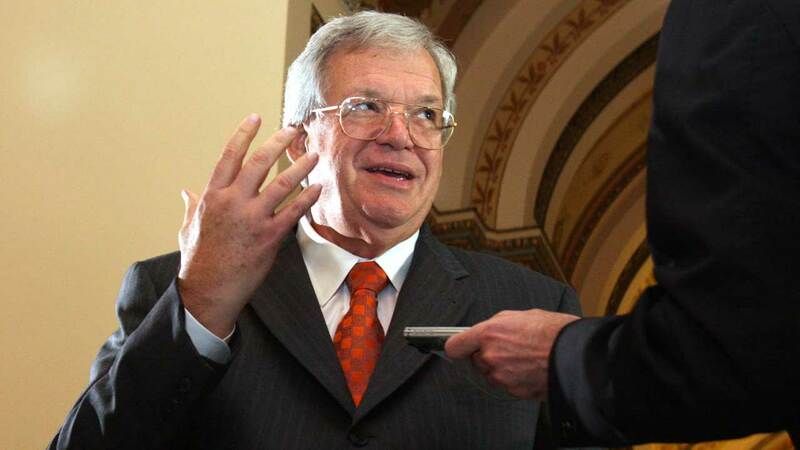 Hastert said the man broke the terms of their verbal agreement by going public with the abuse. An attorney for the victim says in a statement: "Mr. Hastert has decided that rather than live up to his promise to compensate his victim for his molestation and resulting injury...He will ask his victim to pay him..."
Hastert is serving 15 months in prison after being convicted of breaking federal banking laws.